If a console is built upon its exclusives, then Sony just lost a brick or two from it’s wall of…erm…it’s wall of…dominance. Yeah, that analogy sounded better in my head, but news former PS4 exclusive Rime is rumoured to have gone multiplatform is nevertheless exciting. Check out the best indies games on PC here. Namely because one of the platforms it is reportedly heading for is PC. This is all because the Brazilian Ratings Board have the game listed for PS4, Xbox One, Nintendo Switch and PC. This isn’t a standard rumour: people place a lot of trust in said Board given they’ve been right about this kind of thing before. It also ties into the fact that, having initially been signed up to be published by Sony, the Japanese giant and Spanish developer Tequila Works parted company, with Sony handing back all rights to the studio as a result. 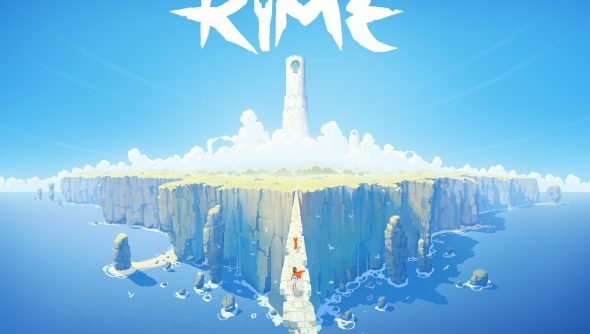 “Tequila Works has chosen to reacquire the rights to its adventure game, Rime, and is working hard to realize its aspirations for it,” Tequila Works said in a tweet back in March 2016. Not all that much is known about Rime, other than it’s a open-world, third-person adventure and puzzle game that sports cel-shaded graphics. It looks damn beautiful, in fact, and it’s not hard to see why Sony was keen to lock this one down. Tequila Works previously worked on XBLA release Deadlight in 2012, and reportedly offered Rime to Microsoft as an XBLA and Windows 8 exclusive, though it’s suggested MS eventually rejected the game due to its lack of multiplayer. Looks like Microsoft’s platforms will benefit from Rime anyway when it launches in 2017.